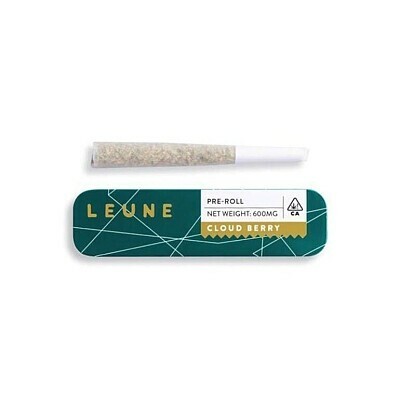 LEUNE- Cloud Berry PreRolls, Order Weed Online From East Of Eden Cannabis Co. Individually Rolled With Love And Nothing But Clean, Honestly Grown California Flower. L E U N E Delivers A Slightly Tart, Massively Berry Preroll That’s Bound To Become Your New Favorite Way To Experience A Well-Balanced High. This Hybrid Brings The Very Best Of Happy Meets Chill. Contains A Single Preroll With .6g Of Flower.